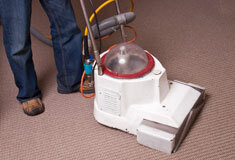 The single most important thing you can do for your carpet is to vacuum it thoroughly and frequently. But when vacuuming no longer removes all of the soil and there are marks and stains on the carpet, it’s time to call a professional carpet cleaner. Your carpet should be professionally cleaned at least every 12 to 18 months, and more often if you have dogs, cats or children. If you are after the best carpet clean job you’ve ever had, look no further than 1st Alert Carpet Cleaning. You may have seen carpet cleaning machines before but you haven’t seen ours. Our machine is fully customised for more cleaning power and has the ability to extract maximum moisture. For you this means simply this – cleaner carpet and a faster drying time so you can use your carpet again sooner. Before we even start up our machine we will pre-spray your carpet with a highly effective, yet gentle on your carpet solution that ensures maximum cleaning power. 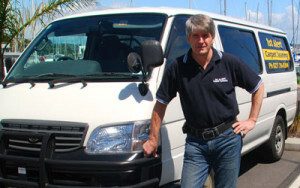 Then 1st Alert Carpet Cleaning will clean your carpet with our customised, powerful van-mounted hot water extraction machine, the method recommended by the NZ Wool Board. This means you will get the most thorough, deep down to the very roots of the fibres clean available. Hands down. Then say goodbye to paying extra for fibre protection! Our cleaning solution has built in fibre protection. Fibre protection will make vacuuming easier for you and increase the likelihood of stain removal. It won’t cost you an extra cent. At 1st Alert Carpet Cleaning our track record for stain removal is unsurpassed. We achieve this by having the passion and energy to apply creative thinking to problem solving. If we can’t improve or remove your stains, no one can.